NewZNew (Chandigarh – Kulbir Singh Kalsi) : In the year 2010 total of 2.40 lakhs passport were issued, in 2011 it increased to 2.70 lakhs. In 2012 we issued 3 lakhs passports and in 2013 we issued about 3.3 lakhs passports. This year we had a target of 3.57 lakhs passports whereas we will be able to issue about 3.75 lakhs passports this year. All over the world this year the ministry of external affairs New Delhi has kept a target of issuing 1 crore passports. Regional Passport officer Rakesh Agrawal disclosed that the working of the Regional Passport Office has been streamlined to the maximum extent possible. There is no scope of touts/agents in the passport office. The work is being done in the transparent and efficient manner. He disclosed that the appointment Cycle has been reduced to 3 working days in Regional Passport Office, Chandigarh. Applicant belonging to all 25 districts of Regional Passport office Chandigarh can take appointment in any of the three Passport Seva Kendras ( situated at Ambala, Chandigarh and Ludhiana) as per their convenience. We are regulary helding meeting with the police authorities to reduce the police verification time. In most of the re-issue cases we waive off the police verification or try to do the police verification after the issuance of the passport. We are also organising regular workshops and training programs to enhance the public dealing skills of our employees. Applicants belonging to Ludhiana region and Ambala region can choose to take appointment PSK Chandigarh (within RPO Chandigarh) as per his/her convenience. In case tatkal quota appointment is not available, applicant can take normal quota appointment for tatkal cases as well. There applications will be process under tatkal only. Following mentioned categories of applicants are not required to take appointments at all. They are allowed as “Walk-in Applicants” between 9 am to 11 am. Applicants for Police Clearance Certificate (PCC). Senior citizens above 60 years. Minors below 15 years whose at least one parent hold passport. The applicants who are in urgent/ tatkal need of passports and have all the necessary documents to obtain passport and are not able to get online appointments may approach the Regional Passport Office, SCO 28-32, Sector 34A, Chandigarh with necessary documents and with online registration number (ARN Number) and “Proof of urgency” for getting appointments. The manual appointments are given based on the load and capacity of PSK and reason of urgency. Next articleOPPO R5, the Stronger Ultra-Thin 4.85mm Smartphone – Coming to India soon! 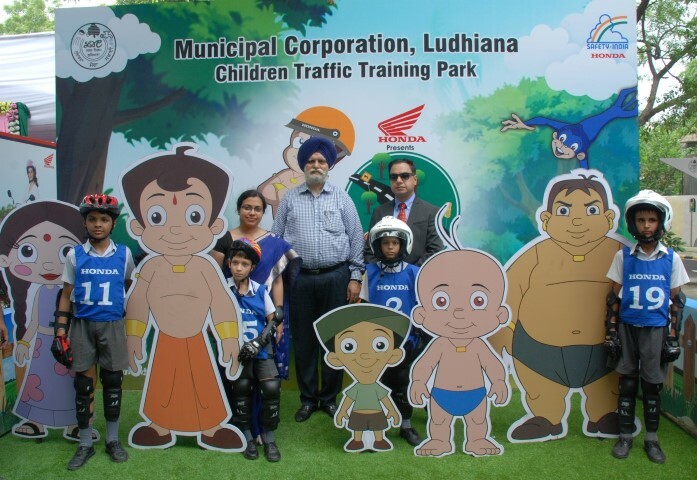 Honda and Municipal Corporation Ludhiana inaugurates Traffic Training Park in Punjab!